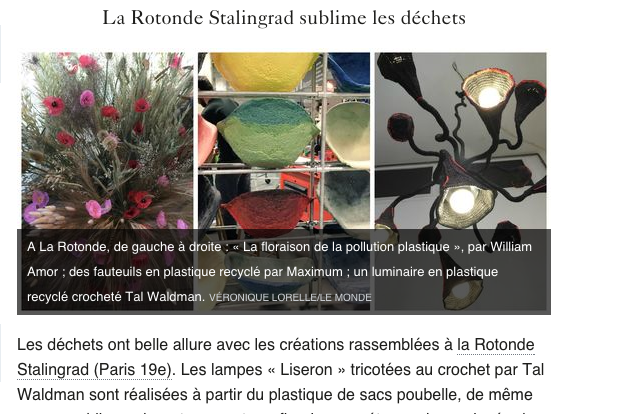 Le Monde talks of my creations in the Off- Paris Design Week exhibition, Thank you Véronique Lorelle! – Talva Design Talva D.
Le Monde talks of my creations in the Off- Paris Design Week exhibition, Thank you Véronique Lorelle! http://www.talvadesign.com/wordpress/wp-content/uploads/2018/05/logo-simple-300x49.jpg 0 0 talwebmaster http://www.talvadesign.com/wordpress/wp-content/uploads/2018/05/logo-simple-300x49.jpg talwebmaster2016-09-10 23:38:302016-09-10 23:38:30Le Monde talks of my creations in the Off- Paris Design Week exhibition, Thank you Véronique Lorelle!